Utilizing a low stance and sinking your hips for leverage, Coach Scudder emphasizes the most important rule concerning the positioning of your top rail for winning the clamp. To support this movement, the mechanics are carefully explained while they are performed first slowly then more quickly with each successful repetition. Successful completion of this technique is apparent when superior leverage beginning with first contact is demonstrated. This includes proper body positioning, hand and feet position so as not to create a rule violation. The initial move over the ball is crucial to be able to win a face off with a jam. Leading to that first move is the discipline necessary to consistently maintain a low and explosive position in an effort to catch your opponent off guard. Remaining vigilant against your opponent may allow you to re-jam your opponent in an effort to keep him guessing at what you will do. 1.Whistle Timing Drill - Helps player get comfortable at spending longer time in their ready stance. 2.Ball Bucket Pops - Building the skill of popping the ball forward. 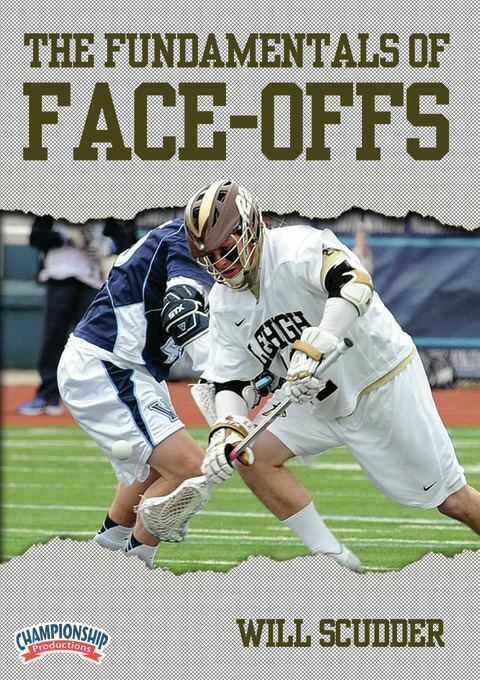 Perform an individual face-off, pick up ground ball and place ball into bucket. 3.Smasher Pad Ground Balls - Perform an individual face-off, pick up ground ball and then coach pressures you with a blocking pad. This presentation also includes a drill for training wing players to box out and pick up ground balls off the face off.